Larry Genalo noticed an interesting trend in one of his classes. In his MAT E 316: Computational Methods in Materials course this spring, the University Professor had six different students who were related in some way to a student who had previously gone through (or in some cases, was still in) the materials science program. Each of the six had a sibling or cousin with a materials engineering connection. 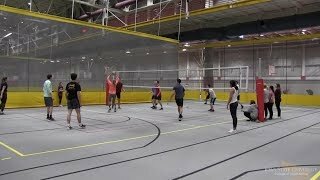 “Professors are a bit more surprised to find siblings in the same program at this level,” said Daniel Acton, a junior in materials engineering. Acton’s older brother James graduated with a materials engineering degree in May of 2012. Iowa State was actually last on the list of schools Acton was considering during his senior year of high school, noting that it was only on his list because he saw how excellent the engineering program was through his brother’s experience. Daniel Regenscheid’s younger brother Joe graduated with a materials engineering degree in spring of 2015. Regenscheid said that Joe did not play a role in his decision to come to Iowa State nor did he persuade him to pursue a materials engineering degree. However, his brother’s knowledge of the program helped Regenscheid get in contact with Klocke, ensuring a smooth transition upon returning to school. As anyone with a sibling can attest, the question of family relations from teachers and peers becomes inevitable. Both Acton and Regenscheid have faced this question, though not as often as you would think. Regenscheid said that so far, only one professor has inquired about his relation, though he expects that number to increase as he goes further in the program. Acton said he and James are far enough apart in age that they do not have any overlapping peers, so no one really knows him only as “James’ brother,” but he does get the occasional question from professors. He said that from time to time, a friend who may not know of James will have him as a teaching assistant for a class, leading to some momentary confusion for the friend. Acton and his brother may be on different career trajectories, but James has still had an effect on Acton’s research. Acton got the position and continues to work under Dr. McGee and further develop his passion for the field, and he recently completed a co-op with Civco Medical Solutions as a quality engineer. Neither Acton nor Regenscheid feel any pressure or expectations to live up to their respective siblings. Acton said that his plans for his degree differ widely from his brother’s. 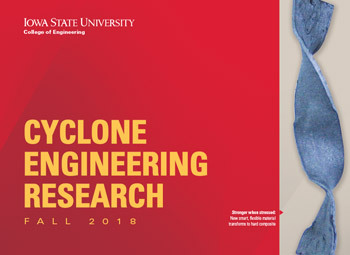 While James is pursuing a Ph.D. here at Iowa State with Professor Ralph Napolitano, Acton plans to pursue a career in industry as a manufacturing or project engineer. Regenscheid echoed that feeling of differentiation, noting that due to their situations, his degree path will look a lot different than the one his brother took. Regenscheid said he is looking to land a student intern spot similar to one his brother had, but has not found one yet. “I’m looking for a similar path, but I’m doing it my own way,” he said of his future goals. Regenscheid’s dream job would be working for NASA at their research facility at Langley Air Force Base in Virginia, but said he would be happy conducting research close to home in Minnesota. “I would like to find a job where I can be proud of my work and feel like I’m making a difference,” said Regenscheid. Acton and Regenscheid both appreciate having a sibling that is familiar with what they are going through. Regenscheid said Joe would occasionally allow him to borrow books and was able to give him feedback on his potential course schedules. Acton said James would also provide feedback on schedules, along with thoughts regarding course content and professors. While neither received specific advice from their brothers, both Acton and Regenscheid got similar notes from their brothers when it came to how to succeed in the program. Joe stressed to Regenscheid the importance of reaching out to Klocke and other members of the department whenever he encountered questions or concerns. Because James was familiar with Acton’s intellect and work ethic, James was able to provide insight into how to approach courses and how much weight each class would hold over his schedule. “For example, he would say that I would enjoy a course and get an A as long as I gave it the time it deserved. Slack off or fall behind and the grade would drop fast,” Acton said. The materials engineering and Iowa State connections shared between these family members will last long after Acton and Regenscheid toss their caps at commencement. 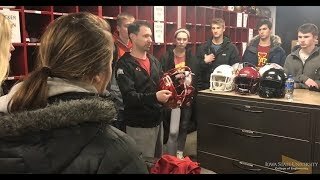 Joe visits Regenscheid and the MSE department occasionally, while the Actons have established their own Iowa State legacy. Their brother, Russell, is a senior in construction engineering and their younger sister has made a visit to Iowa State looking to study early education. And even though their youngest brother is only in sixth grade, the brothers have big plans for him to follow in their engineering footsteps at Iowa State.